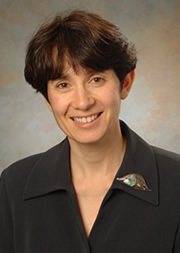 Prior to her academic career, Professor Tilson worked as a software engineer and project manager in telecommunications, medical instrumentation, supply chain software and financial industries. Professor Tilson's teaching interests are in quantitative decision making and in healthcare operations management. She was the recipient of the MBA Superior Teaching award in 2009. Professor Tilson’s research interests are in health care operations, stochastic scheduling and supply chain management. She has published articles in the Management Science, MSOM, OR, Production and Operations Management Journal, DSS, European Journal of Operations Research, and others.